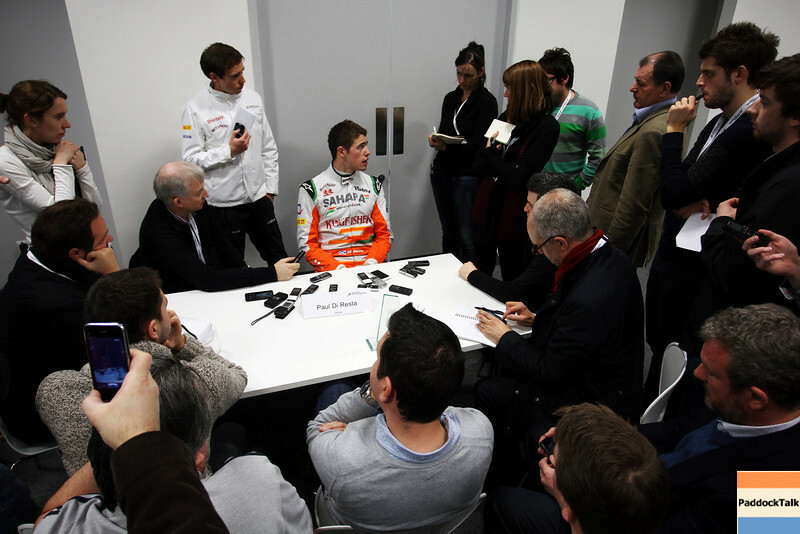 Paul di Resta (GBR) Sahara Force India F1 with the media. Sahara Force India F1 VJM06 Launch, Friday 1st February 2013. Silverstone, England.